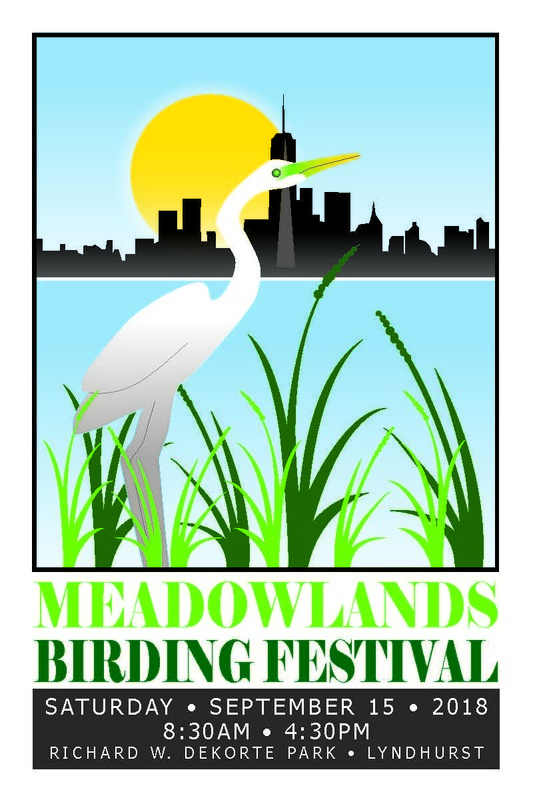 Meadowlands Birding Festival Registration Is Open!!!! We’re thrilled to launch registration for the Meadowlands Birding Festival on Saturday, Sept. 15. The free event runs from 8:30 am to 4:30 pm and will include a family-friendly day of bird walks, talks, raptor visits, kids activities, optics for sale and more celebrating the Meadowlands amazing bird population. Highlights include a keynote talk by renowned field guide author David Sibley, a walk led by prominent birding author Rick Wright and a live raptor demonstration. Kids activities include a scavenger hunt, bird migration game, and making an ice cream cone bird feeder. Look for a detailed schedule soon, including information on a special early bird walk. There will also be boat rides for birders, with registration beginning next week. Watch this page for details.